ArtFusion 19464 is a non-profit community art center. 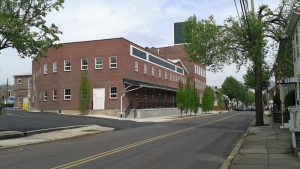 We are located in a fully restored industrial building in Pottstown (The Beech St. Factory). We are moments away from routes 422 and 100, and from routes 663 and 73. Our mission is to provide a solid educational foundation to youth and adults alike. We help students foster their creativity and develop their talents both for personal enrichment and as a foundation for advanced studies in the arts. ArtFusion aims to provide an excellent education in the arts to both the youth and adults of our community, regardless of their income level. Our instructors are all professional artists who limit class size for more individualized instruction. We help students to foster their creativity and develop their talents for both their personal enrichment and as a foundation for advanced studies in the arts. We also work with after-school programs for children in our community, as well as summer programs and special workshops when school is out during the school year. 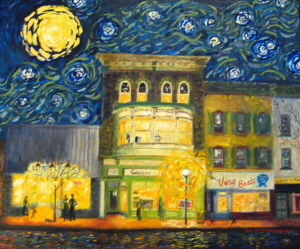 ArtFusion’s gallery offers an arena for new, up-and-coming artists to display their work. We also work with established local, national and international artists. We seek to establish and cultivate long-term relationships with our artists and collectors. The gallery showcases contrasting styles of media, giving the casual as well as the most discriminating collector a wonderful selection from which to choose. We represent local and national artists with established reputations as well as new and upcoming artists. Our artist members participate in the area’s most prestigious juried art shows. We host theme and member-only group exhibits in our main gallery. We also offer solo artist shows. Our upstairs annex gallery displays a more permanent exhibit of work by our member artists. Displayed works range in styles from impressionism to realism, from two-dimensional to three-dimensional, and represent a wide variety of mediums. All shows are open to the public at no charge. 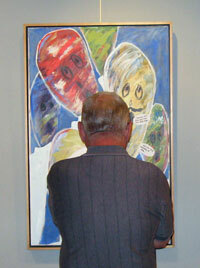 To see selections from our current exhibit, please click here.